Its been a long time coming and we’re finally here! 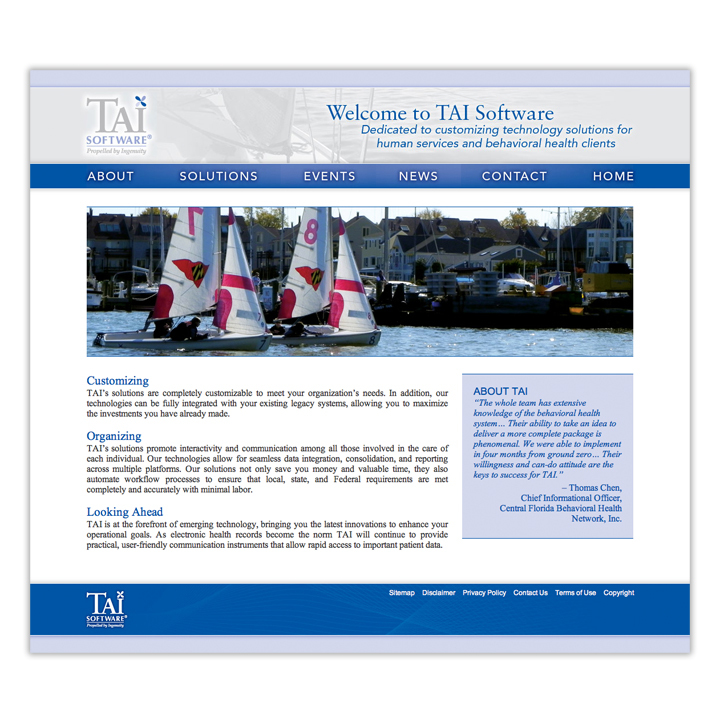 Blackout is happy to announce the launch of the newly updated TAI (Tidgewell Associates Inc.) website. Working in collaboration with Tara Mears, the Blackout Design team developed a new look for the software provider, that incorporated some of the many Mid-Atlantic scenes found around TAI’s branches. In addition, new navigation was implemented that would add greater focus to TAI’s many technology cores and solutions, as well as their amazingly talented management team. It was a real pleasure working with the entire Tidgewell crew and happy to bring this project to fruition. If you have a moment, stop over and see what all the fuss is about!